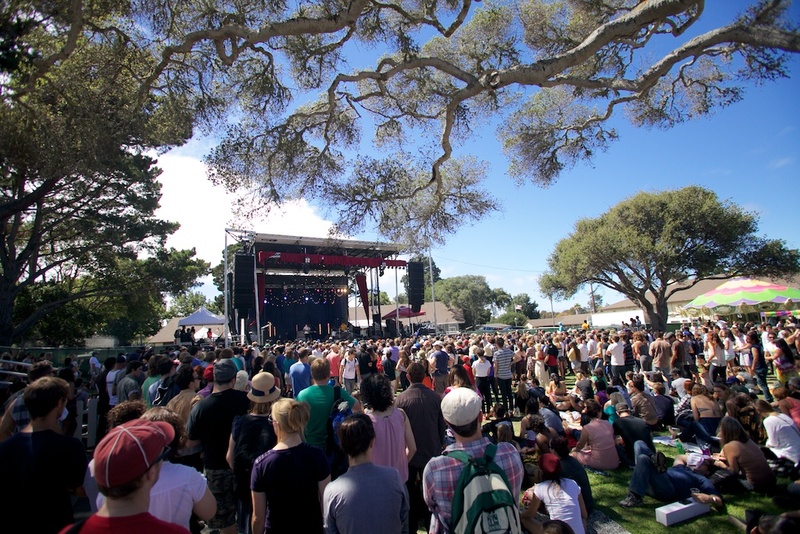 Goldenvoice’s second annual First City Festival returns to the idyllic Monterey County Fairgrounds this weekend with two full days of music, performance art, crafts and more. Following up a successful inaugural year, the beautiful 22-acre setting hosts three outdoor music performance areas and a vaudeville stage, the Unique USA Marketplace, a curated vinyl record Beat Swap Meet and a full-scale carnival. Enter our contest below for a chance to win free tickets! 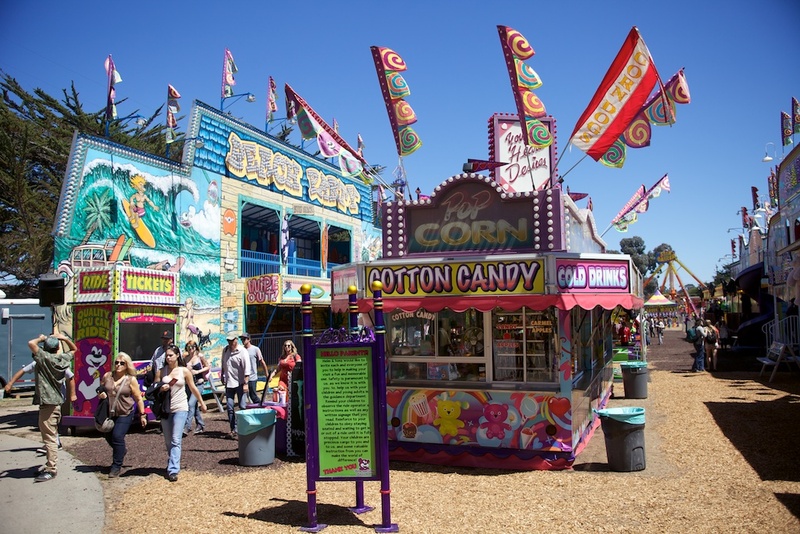 With such a fantastic roster of both well-known and buzz-worthy acts, we recommend you get to the fairgrounds early to really take in all that the festival has to offer. Beyond local vendors, artisan food and alcohol selections and a county fair’s worth of carnival rides and games, here are the toughest decisions we’ll be making after considering the musical talent on the bill this weekend. Wrapping up the final leg of their summer tour, Tokyo Police Club will get the crowd rowdy in this late afternoon slot, pulling bounce-along favorites from their garage-pop discography to go along with new tracks from their latest album Forcefield, which was released this past March. In contrast, folk-rock veterans Midlake will be making their West Coast festival debut this year sans lead singer Tim Smith. The band has been promoting its latest album Antiphon — and first release on ATO Records — with the new lineup to create a “rebooted progressive rock” sound. In following suit with their most recent string of performances, Midlake very well could break out some acoustic material, too. In this Day 1 pop throwdown, which team are you on? This is a crucial decision, setting up what inevitably will be the mood you will choose to embrace going into the remainder of the evening. Will you be shuffling a pair of dance shoes or gazing listlessly at them covered in the rodeo’s dust? If you’re feeling the need to bust a move, Tanlines has got you covered. Bringing their infectious, experimental dance music to the festival side stage, this Brooklyn-based duo will have the audience on fire. Call and response with calypso-infused pop, Tanlines’ Jesse Cohen and Eric Emm provide the perfect combo of guitars, vocals and various percussion instruments to invigorate an early-evening crowd before it readies itself for a big evening ahead. If you anticipate the evening’s headliner Beck to have a more melancholy setlist and feel like taking a breather from the crowds, carnival and other stimulus surrounding the first day of the festival, let Best Coast lead singer and guitarist Bethany Constantino’s croon lull you into a mellow mindset. Performing on the main stage, this also could be a good power move, setting yourself up for a spot front and center for the rest of the evening performances. This is arguably the worst conflict of the weekend for the rage-faced dance enthusiast with quite possibly two of the most similar acts billed consecutively on the lineup. Both bands play to the overly enthusiastic crowd member demographic, and although mildly different in style, each evoke such passion and excitement with their respective fan bases that they would be equally disappointing acts to miss out on. H ailing from Detroit, Dale Earnhardt Jr. Jr. is the electric duo of Joshua Epstein and Daniel Zott who bring a soulful blend of funk, pop and cross-genre songwriting to the stage. Their stage presence and range as a pair of performers is something that not only speaks to the crowd, but also calls for participation and will no doubt get the early-evening audience active by moving their weary feet. Future Islands, on the other hand, are the wild-card act on not only this bill, but just about any festival roster. Gaining mainstream fame with their incredible electro-rock body of work and after this past year’s impressionistic performance on the “Late Show With David Letterman”, lead singer Sam Herring danced his way into the hearts and curiosities of a nation. Beyond Herring’s guttural howls and spastic stage presence, the band has had great success playing festivals worldwide in executing some of the most memorable sets. Those who show up should be excited to be a part of a performance that everyone around them will remember as a special moment in their lifetime of concert experiences. Whether the crowd sits idly dumbfounded or actually commits to losing itself in the music, this set is sure to be a highlight of the festival and is one we look forward to catching. Create your custom schedule here! A traveling record swap meet, Beat Swap Meet features dozens of invited record collectors and dealers from all over the U.S. and beyond. They’ll be selling everything from blues to funk to hip-hop to jazz to metal to punk to reggae to rock to soul, with World 12’s and 45’s on vinyl. 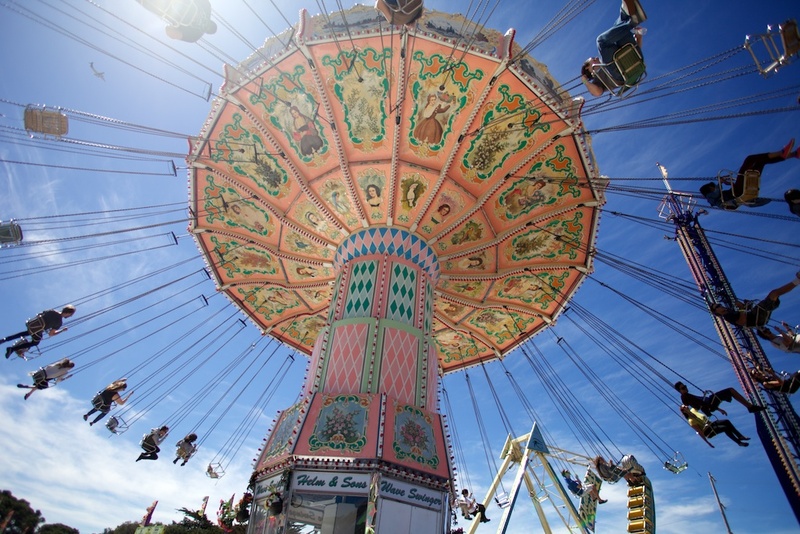 You will have full access to rides and games with your purchase of a festival ticket. Take some time to visit this marketplace where furniture, art and fashion designers sell goods, all of them made in the U.S.
With the gates opening at noon and set times starting as early as 1 p.m., we recommend getting there with ample time to park and jump in what undoubtedly will be a line wrapping around the fairgrounds’ perimeter. 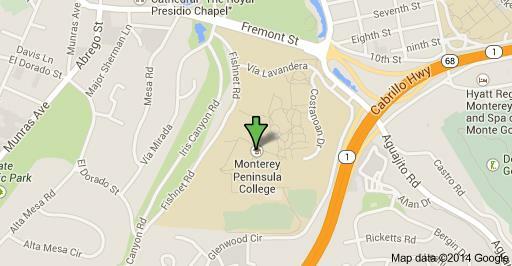 Parking is available with shuttles to the fairgrounds at the neighboring Monterey Peninsula College, located at 980 Fremont Street, Monterey, CA 93940. Other options include parking around the neighborhoods surrounding the venue and walking a short distance to the festival location. The locals are generally friendly and accommodating, but be sure not to block anyone’s driveway. There will also be a free bike and skateboard valet near the festival’s front entrance. If you have any issues with your tickets, you should contact Front Gate Tickets at 888-512-SHOW or on their website. 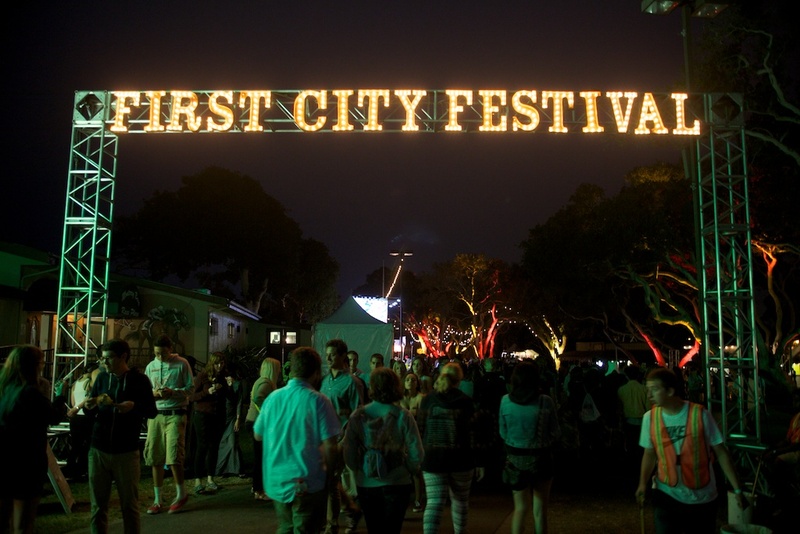 We also recommend taking a peek at the festival’s list of “Dos and Don’ts” before you arrive. To win a pair of tickets to the festival, enter below. You must like Showbams on Facebook and follow Showbams on Twitter to be eligible to win. Submit your full name and email address. Contest ends Tuesday, August 19th at 3 p.m. Winners will be picked at random & notified by email. Your email will be kept private — we will share your email with no one. Going to a Jack White concert Friday night.. Hoping to rally and head to First City Fest!